Cept University, Kasturbhai Lalbhai Campus, Gujarat University Road, Navrangpura, Ahmedabad. The exhibition will be inaugurated on 8 Feb at 6.00 pm and is open to all till 1 Mar 2019. How have domestic spaces and everyday life changed over time? Conversely, what can changing domesticity reveal about the larger historical forces that shaped the twentieth century? 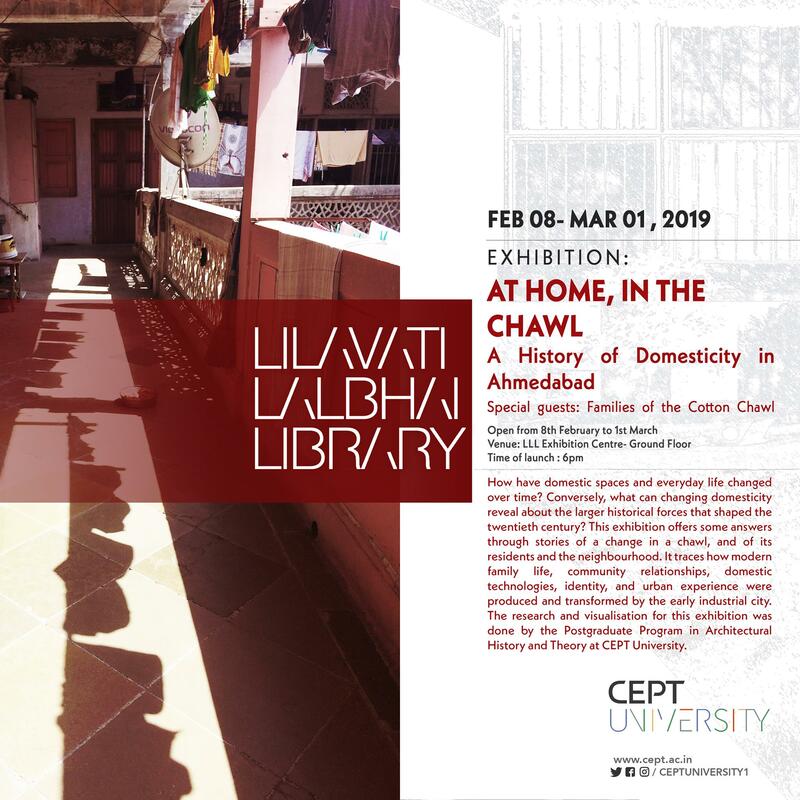 This exhibition offers some answers through stories of a change in a chawl, and of its residents and the neighborhood. It traces how modern family life, community relationships, domestic technologies, identity, and urban experience were produced and transformed by the early industrial city. The research and visualization for this exhibition were done by the Postgraduate Program in Architectural History and Theory at CEPT University.